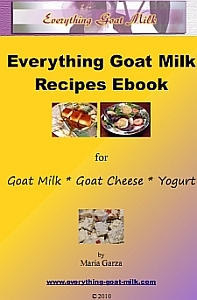 The recipe ebook is in PDF format. To view it later on your computer, you will need free PDF viewer software. If you don't already have a viewer, you can download one for free. Click on the image or text link below to open the file in your browser. When the file opens, you can save it to your computer by pressing the "save" (floppy disk) icon. Be sure to note the name and location of the file so you can access it later. To access the bookmarks so that you can go directly to a recipe, click on the bookmark icon on the left side of the screen. You can also save the file without opening it in your browser by RIGHT-clicking on the link, and choosing "Save link as..."
The file is just over 5.5 Mb in size. Enjoy your recipes, and thank you for subscribing to our newsletter!